There is no need to water this month because the greater Albuquerque area received up to 8″ inches of snow in the month of January to meet our plants’ water needs! 505Outside follows this basic rule for watering during winter months: If it has rained more than 1/2 inch (or snowed more than 6 inches) in the last 4 weeks, then there is no need to water. It snowed more than that in January, so there is no need to water this month. 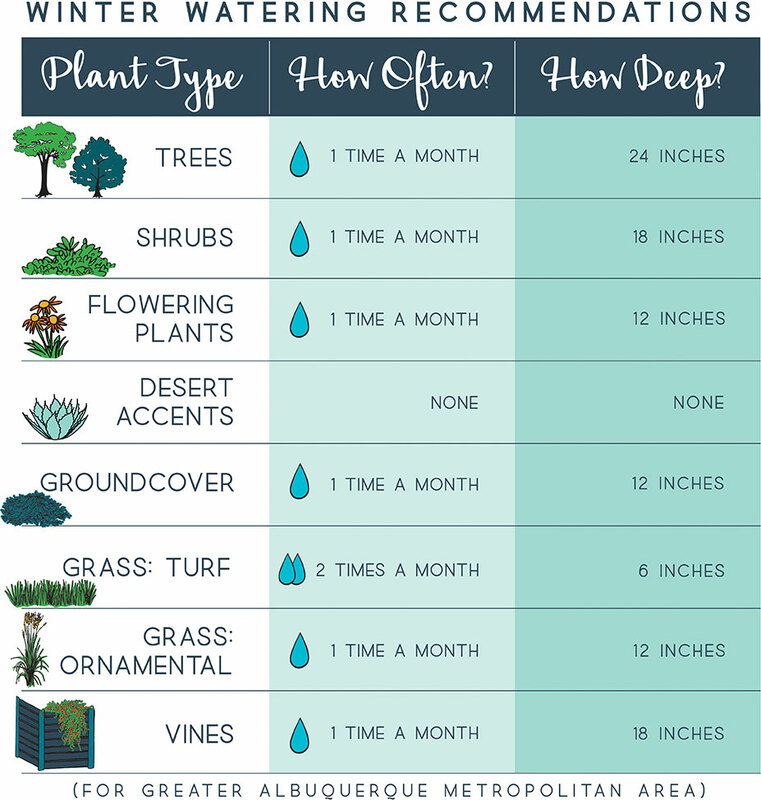 Below are our Winter Watering Recommendations. If by the third week in February we have not received precipitation please follow the guidelines below. Remember to mark your calendar on the day of the last big rainstorm, then make a note to review the winter water recommendation chart on the same date of the next month. Keeping track of precipitation will help you decide whether you need to water during the winter months.